Gelato is the Italian word for ice cream, but the two frozen treats are not exactly the same. Although gelato has a base of milk, cream and sugar like American-style ice cream, it generally contains more milk than cream and therefore has a lower percentage of butterfat. Eggs are another staple in most ice cream formulas, but gelato is usually made with fewer eggs or none at all. Additionally, less air is churned into gelato during the freezing process, so it has a denser texture than commercially made ice cream. 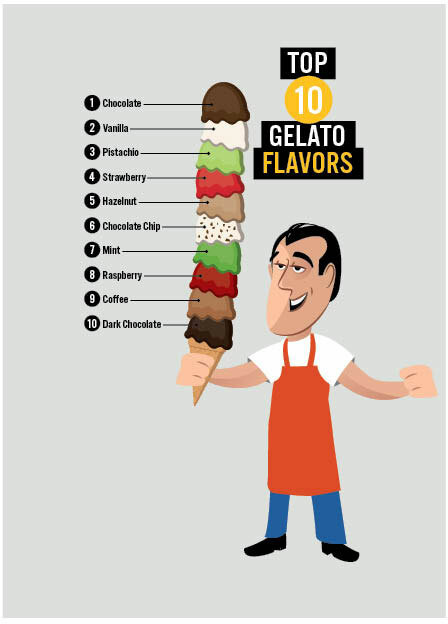 Technomic’s Dessert Consumer Trend Report shows gelato gaining in popularity as a dessert choice. In fact, 33% of consumers now say they would order gelato for dessert compared to 29% two years earlier. The dessert’s health halo may be one reason: With its lower fat content and fruit-forward flavors, gelato is often perceived as a healthier alternative to ice cream. Women, especially, are driving interest in ice cream alternatives like gelato, sorbet and frozen yogurt. 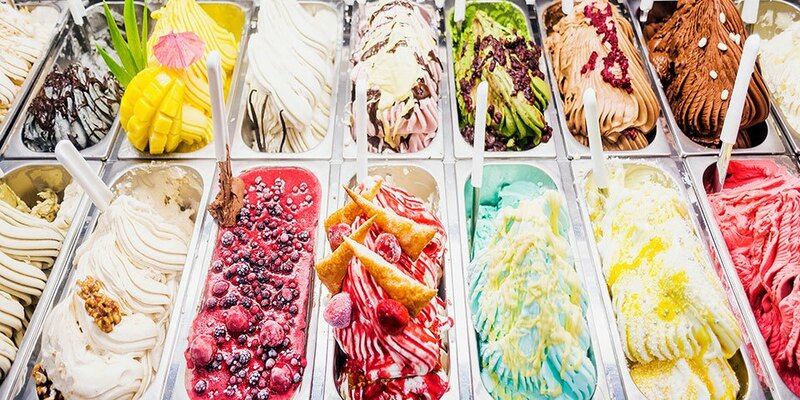 Another reason for gelato’s growth is the Italian dessert renaissance happening in both Italian and non-Italian independent restaurants—a trend that is expected to trickle down to full-service chains. Although gelato is growing on menus, it still lags behind other frozen desserts. To raise its profile, operators are swapping out ice cream for gelato in beverages, snacks and plated desserts. Combine a scoop of gelato with a shot of espresso and you get the affogato—a growing application that’s a dessert and beverage in one. Some operators are using the simple affogato as a starting point for more elaborate dessert drinks. RPM Italian, an upscale independent in Chicago that’s part of the Lettuce Entertain You group, offers Bicerin Affogato for dessert. It’s made with chocolate-hazelnut gelato and cold press coffee. Dallas-based Paciugo, a multiunit gelato cafe, serves Affogato with three scoops of gelato in a glass of espresso topped with whipped cream. Operators also are using gelato in place of ice cream in sweet soda fountain specialties, such as milkshakes and malts. The Vero Coffee & Gelato Bar inside Mariano’s supermarket locations serves up a Dulce de Leche Gelato Shake. Stan’s Donuts, a Chicago-based concept, has a Gelato and Cake Donut Shake on the menu. Consumers who might indulge in an ice cream cone or cookie sandwich as a midafternoon snack can increasingly opt for gelato treats at non-Italian spots. Doc B’s Fresh Kitchen, a four-unit chain with a health-oriented menu, offers Gelato Cookie Sandwiches. Popbar, an international concept with 11 U.S. locations, menus handcrafted Gelato Pops in an array of flavors, including green tea, pumpkin and coffee. All can be customized with coatings such as coconut shavings, crushed pistachios and dark chocolate. Pizza concept Your Pie mashes up gelato with whimsical add-ins for its Firecracker Gelato with Pop Rocks. It’s a blend of chocolate gelato with chipotle flavoring and Pop Rocks candy. Full-service restaurants are upselling desserts by incorporating or adding gelato. Words such as “artisanal” or “handcrafted” used in the menu descriptions give customers the impression that these plated desserts are special and worth the price. At Earl’s Kitchen + Bar, a growing casual-dining chain, Sticky Toffee Chocolate Pudding features housemade warm chocolate cake topped with chocolate and toffee sauce and served with a spun-sugar basket filled with vanilla bean gelato. The presentation further elevates the dessert. Sauce Pizza & Wine does a Pizza Cookie—a half-baked triple chocolate chip cookie topped with handcrafted artisanal gelato. Flourless Chocolate Torte with Olive Oil Gelato is a signature dessert at Brio Tuscan Grille. Using gelato in place of the traditional vanilla ice cream or whipped cream appeals to sophisticated palates. College dining is jumping on the gelato trend, too. The new Point Chaud Cafe and Crepes concept at George Washington University serves dessert crepes with a choice of gelato flavors.